have a monetization strategy that users would find appealing, which was NOT a monthly subscription model. For this project, I created and owned a user testing process for vetting concepts and features via in-person studies, remote testing, and surveys. Over the course of the project we surveyed thousands of people and talked weekly face-to-face with over a hundred users in our target demographic. Once anyone on our team had an idea for an app feature, we would ideate together. 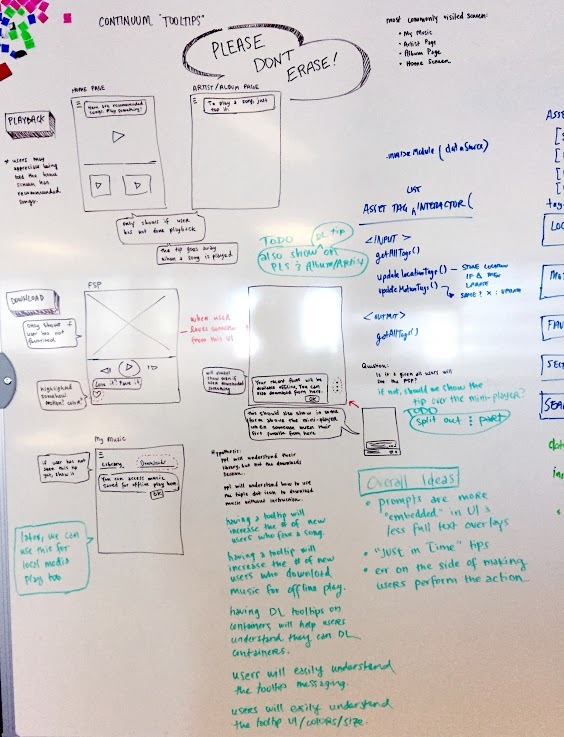 After I created initial sketches, we would propose questions to investigate about a feature, as well as hypotheses that would be targeted for user testing. Depending on the hypothesis, we would run surveys, or do guerilla testing runs at a nearby university. 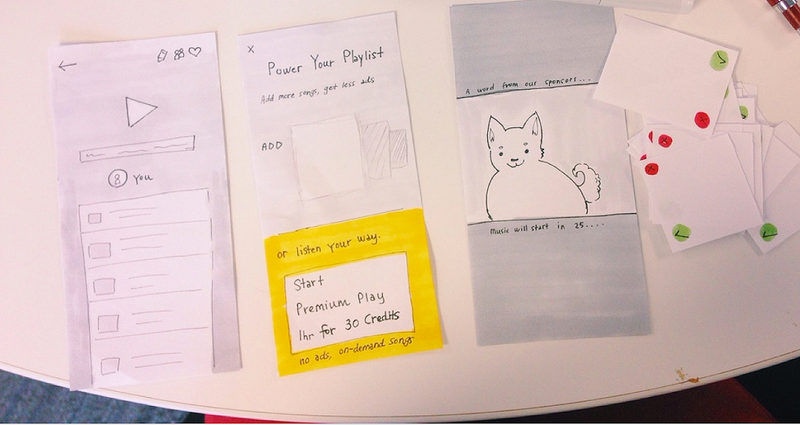 Prototypes could be low- or high-fidelity, and I created them using paper and pencil, as well as Proto.io, Sketch, and Pixate. 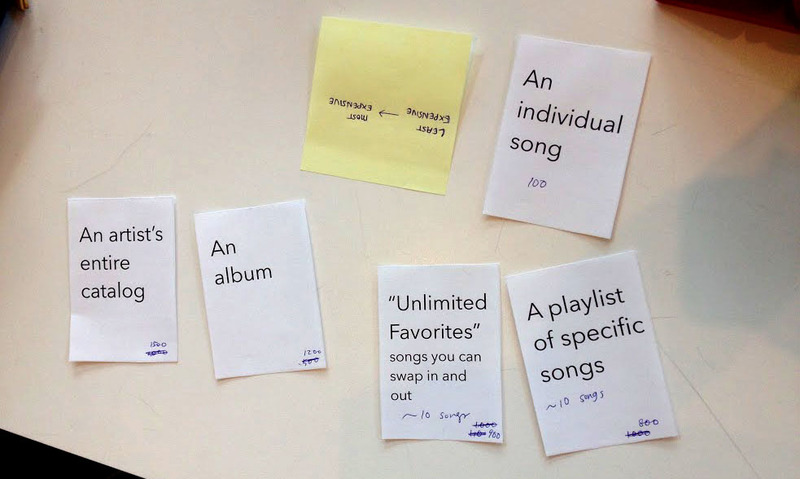 To challenge our assumptions and firm up our knowledge on topics we knew little about, we would also use techniques like interviews, card sorts, and contextual inquiries. After user research of any kind was completed, I summarized research findings and design recommendations for company-wide distribution. Once iterations provided a design that would best help us reach our goals and KPIs "in the wild," I defined technical requirements for features to hand off to development. With routine and thorough user testing, I cracked one of the major design problems of the Napster X product, which involved the use of microtransactions. 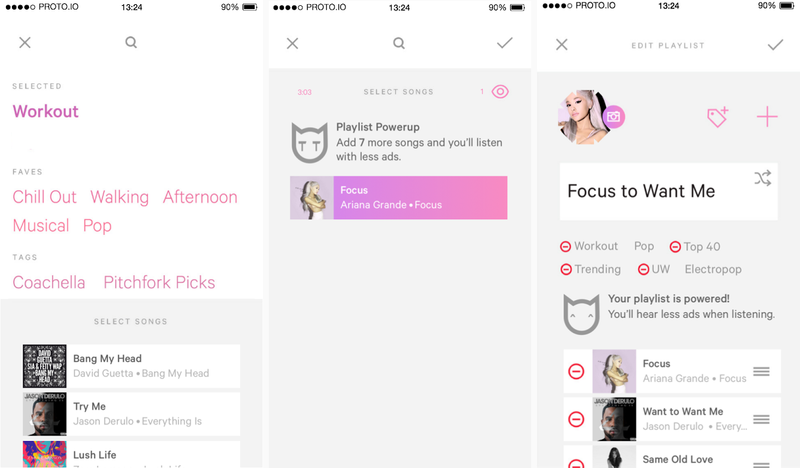 Rather than paying a monthly subscription to an app, users would use credits to listen to music. We iterated through various designs and presensations for microtransactions, and turned a system that users hated into one that they were excited to interact with.